The 3 loop flat race course begins in BGC High street and goes around the scenic areas of BGC. It then exits 32nd street taking the riders up the Kalayaan flyover and to the long stretch of Buendia. From Buendia participants will make a turn around at Edison street and head back to BGC to complete the loop. Inside BGC riders turn right to Rizal Drive making a loop exiting to 3rd Ave, then taking 32nd once again to begin the second loop. 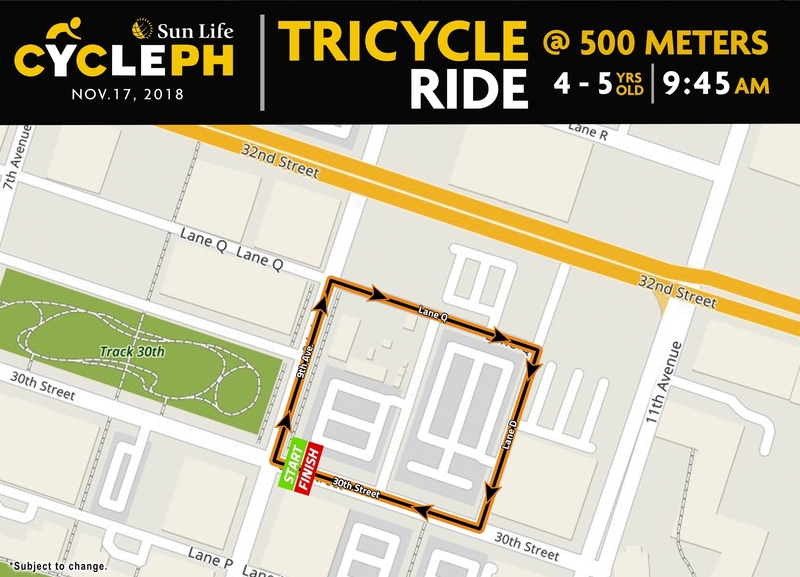 Riders will follow the same loop two more times exiting to Buendia and turn around at Edison street. After completing the three loops riders enter BGC they take 32nd, right at 7th amd take 30th for the finish line. 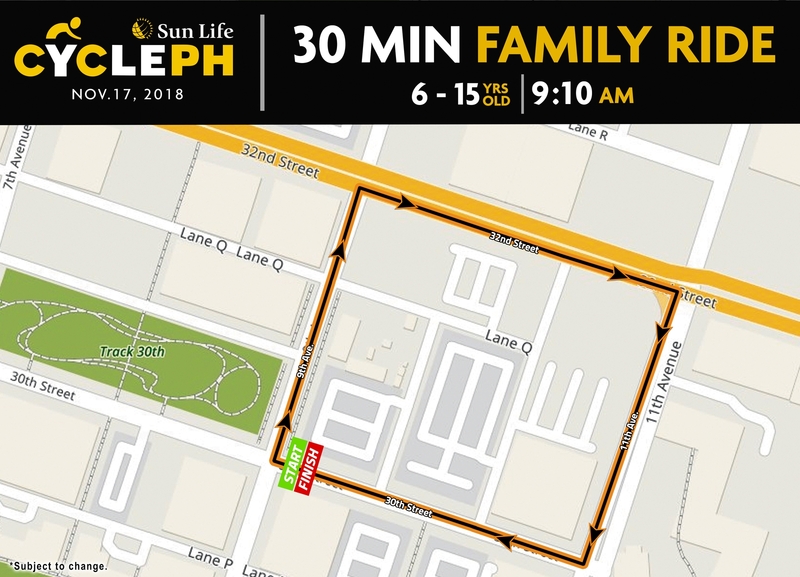 The 2 loop flat race course begins in BGC High street and goes around the scenic areas of BGC. It then exits 32nd street taking the riders up the Kalayaan flyover and to the long stretch of Buendia. From Buendia participants will make a turn around at Ayala Ave and head back to BGC.to complete the loop. Inside BGC riders turn right to Rizal Drive making a loop exiting to 3rd Ave, then taking 32nd once again to begin the second loop. 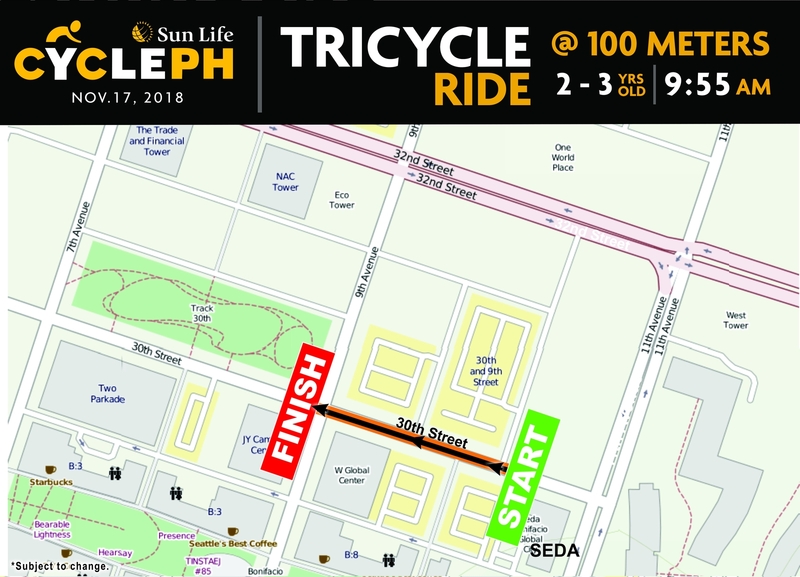 Riders will follow the same loop one more time exiting to Buendiaand turn around at Ayala Ave. After completing the two loops riders enter BGC they take 32nd, right at 7th amd take 30th for the finish line.